Monmouth County Museum. Photo by Surfer.. Click to enlarge. Reflections from glass. Closeup of opening to the ocean which is shown as a sand bar easily traversed back and forth by the Ocean. 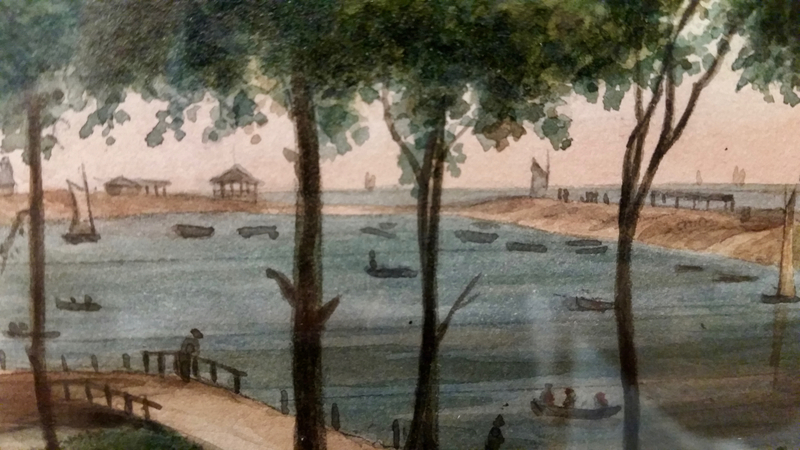 Interesting 1877 watercolor of Wesley Lake from Asbury side. 1. Size of lake much larger and lots of boats. 2. 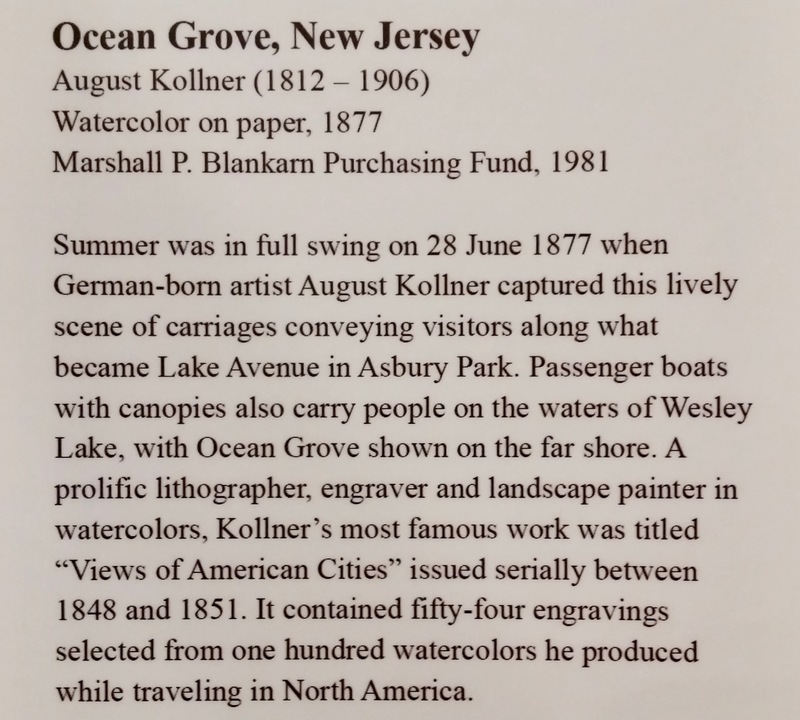 Apparently the beach was not connected between Asbury Park and Ocean Grove, so the lake could flow in/out. That is why one had to take a ferry boat to/from AP (and later pay a penny to cross a bridge). 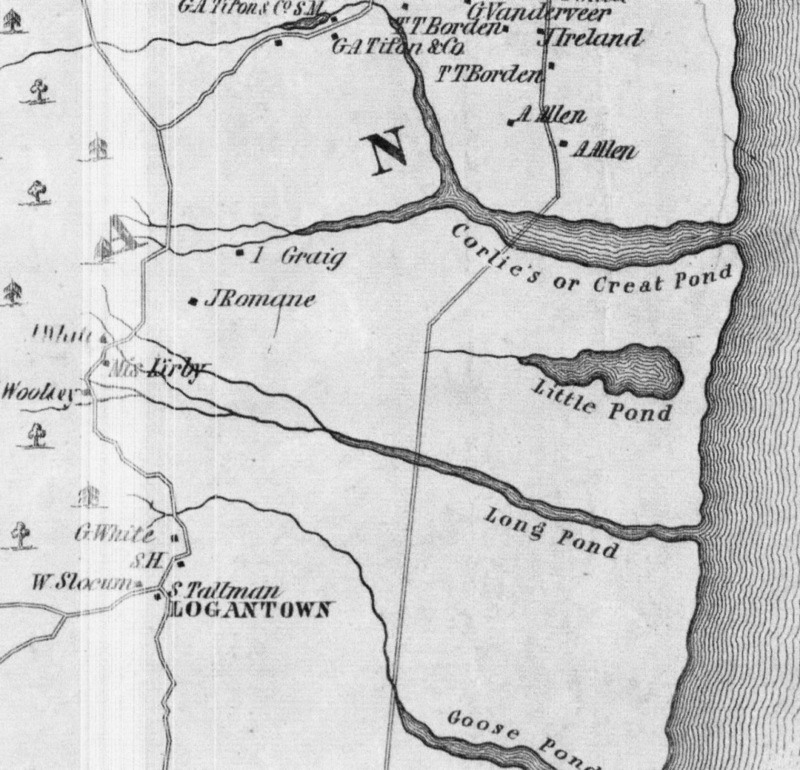 Trace the streams into Wesley Lake (Long Pond) and the communication with the Ocean. The lake was likely a bar-protected lagoon, where the action of waves typically builds up a low sandbar beach that is only rarely overtopped or wiped out during storms. Sometimes these sandbars get wiped out seasonally, such as wintertime when there are frequent nor’easters. This may explain why some maps show the lagoon as being open to the ocean. 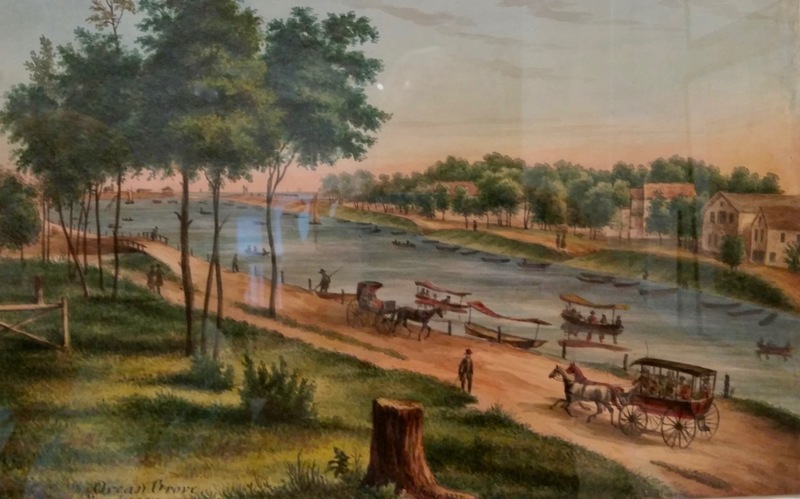 While these landscape paintings and scientific reconstructions can seem like wistful fantasies of recreating the past, they can also inform future land use decisions to create a more resilient or ecologically vibrant future. Editor’s note: Dr. Phillip Orton is a research Asst. Professor at Stevens Institute of Technology.